Do You Need an Earmold? You might not know what the signs are that you need an earmold. Many people don’t know what an earmold is, and this is the most common problem when trying to figure out on your own if you need one. You can always go and talk to your hearing healthcare professional, and they will be able to assist you with this. However, for now, let’s look at what an earmold is and some of the signs that you might need one. An earmold is a small piece of plastic or soft material, that is molded to fit into your ear. It has a number of purposes and functions, meaning that there are a few reasons why you would need one. This small piece of plastic is usually used for people who have hearing aids. However, you could need them for ear protection, or hearing loss prevention. When do you need one? 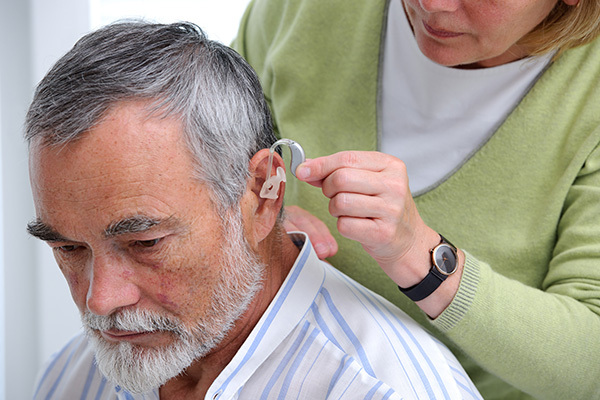 So the first way to know if you need one is if you are going to be getting behind the ear hearing aids soon. An earmold for this will connect the ear canal to the device, ensuring optimum results from your hearing aid. If you have been advised by your hearing specialist that you are going to need these hearing aids, then you are going to need an earmold too. Or, if you are suffering from hearing loss, this is another sign that you could need an earmold. In this situation, you can ask your hearing care provider whether you should get an earmold to prevent further damage to your hearing. If you do get one, this will stop the sound from leaking out, and hopefully, prevent any further decline in your hearing health. It might be the case that you go to a lot of concerts. You should also consider that you might need one of these if this is the case. Loud noises constantly can really take a toll on your hearing, and as such you need to protect it. Earmolds are a good way of protecting your ears and your hearing from any long term or short term damage. Finally, if you take part in any sporting activity that could cause damage to your ears, you might need an earmold. This includes anything in water such as swimming or diving, but can also include things where lots of fans are going to be present. The volume of shouting fans can often exceed 129 decibels, and since any sound above 85 can cause some sort of hearing damage, an earmold for protection might be a good idea. If you have any further questions about if you need an earmold, contact your hearing specialist and arrange an appointment to discuss this with them. They will be happy to talk through whether or not this is the case and give you the professional advice that you need. We hope that after reading this article, you feel more informed about how to know whether or not you need an earmold.